The July Look Fantastic Beauty Box* has a great mix of skincare, makeup, haircare and it even includes a hair accessory. This Summer themed box is bright pink with beautiful gold detailing, I love to keep the boxes as they’re super handy for storing beauty products & other treasures. As with previous boxes you also get the current copy of Elle Magazine which will be perfect to read whilst relaxing in the sun (if it decides to show up!). These are ideal for beach days or keeping your hair off your face in in the Summer. If you haven’t seen this style of hair tie before, they’re designed to tie your hair up without leaving any dents or marks. They’re also gentle on your hair and won’t break or damage your hair. So you can easily wear your hair up or down. You get 3 bobbles in the box and I will be keeping one in my handbag as I love being able to pop my hair up when I am driving or eating. I adore NUXE products but have never used their shimmer oil. This is a stunning golden shimmer dry oil which will help your skin look glowing and give it that golden sheen. Its not only looks beautiful but will also help to moisturise your skin as it contains 6 different plant oils and is enriched with Vitamin E to soften and smooth. So I am looking forward to applying this to my legs and getting them a little more Summer ready. OK, so I did a squeal of delight when I saw this was included in the July Box. I have seen so many people reviewing the new Benefit Brow range & I am so excited to try this out for myself. This is a deluxe sample size and I have the darkest shade 6 which works out well as I have very dark brows. This is an angled eyebrow pencil which has been designed to allow you to sill in any gaps with ease and give you perfectly manicured brows. They claim it gives 12 hours of waterproof wear (I will put that to the test). Its a twist up pencil and the product does feel soft. I love the packaging of these brow products & I am so excited to have this in my collection. I have heard lots of wonderful reviews about the This Works range but I don’t think I have ever tried anything from them. So I am thrilled that I get to try a new brand product & a girl can never have too many moisturisers. This is a deluxe sample and at 20ml its perfect to take on holiday, I am going to save it for my trip to Amsterdam. This is a primer & a moisturiser in one, it is packed full of skin loving ingredients including, Hyluronic Acid and Starflower Oils. This promises to smooth out skin providing the perfect canvas for makeup and its caffeine infused formula boosts skins natural radiance and gives you a flawless finish. Sounds perfect! Its always nice to get a hair styling product in beauty boxes. I had never heard of this brand before but I do have frizzy hair so this will be put to good use. It has a paraben free formula and contains Chamomile, Quinoa and Amaranth which work together to nourish, repair and revitalise your hair. Argan Oil and Jojoba Oil It will also give it a beautiful shine, so thats all bases covered. I can’t wait to try it out. I think this pink is a gorgeous Summer shade and I would use it more as a blush than a lip product. Its oil free and won’t clog pores or make the skin look greasy as the weather gets warmer. This is a very wearable shade I am starting to use cream products a lot more. Another great beauty box, the Benefit Eyebrow Pencil & This Works Moisturiser are my stand out products this month. Let me know what you think about the contents and if you have used any of the products. 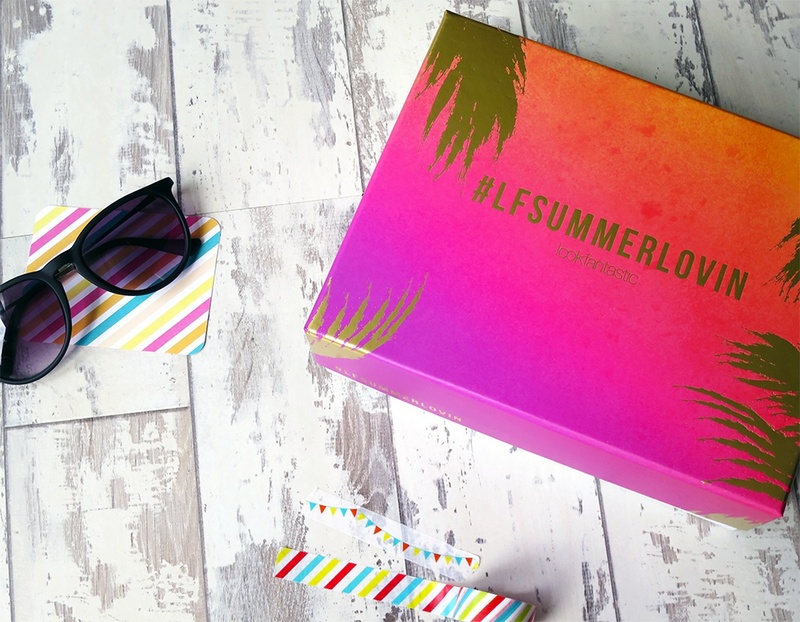 These boxes always sell out super quickly so if you want this months #LFSummerLovin Box then you best be quick. Look Fantastic Beauty Box is a monthly subscription.